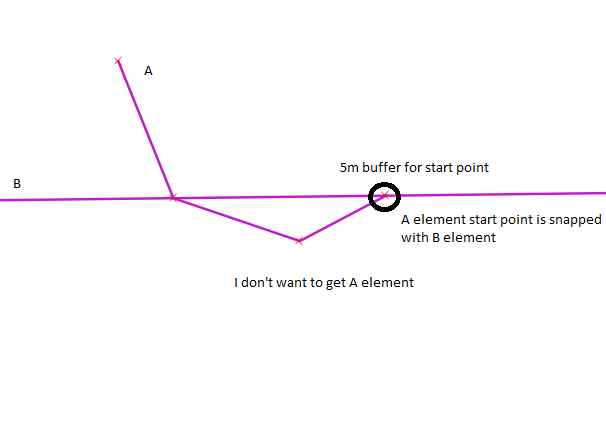 I will create buffer for 5 meter in start point of line string, If any other line string is within the buffer but not snapped then to mark as the startpoint as dangle error.I have attached the sample image given below, I don't want to get snapped element. How to get it using PostGIS query? Browse other questions tagged python postgis pyqgis postgresql linestring or ask your own question. How do I conditionally increment buffer in PLPGSQL/PostGIS?